Every June, you may be one of many who wonders what to get Dad for Father’s Day. You can go basic and give him a gift he may soon forget. On the other hand, you can give him something he will treasure forever. If you’re leaning toward the latter, then we’ve compiled a few of our favorite items with our Fathers Day gift guide to make this Father’s Day the most memorable yet. At BeckerTime, we know that feeling you get wearing a luxury timepiece. In fact, you can show dad what a wise investor you are this Father’s Day by giving him a watch that appreciates in value, never goes out of style, and is a wardrobe staple esteemed enough for the likes of James Bond. 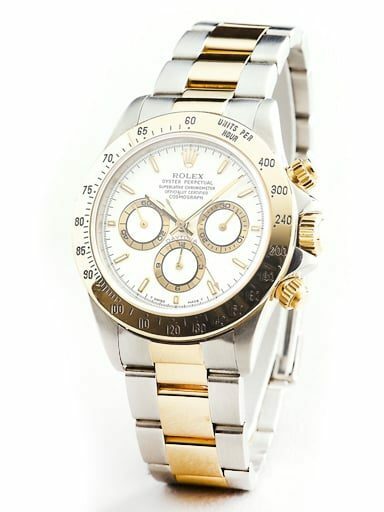 At BeckerTime.com, we offer a huge selection of preowned Rolex watches. For the Dad who likes a larger faced watch, the Daytona is an excellent watch to thrill this Father’s Day. As the name suggests, the Daytona was designed to meet the demands of professional racing drivers. However, while Dad might not be on the racetrack every day, this watch offers a highly reliable chronograph to keep up with his demanding lifestyle. For a smaller-faced watch option, we love the Datejust. In addition, this watch is the modern archetype of the classic watch. Fashion may change from day-to-day, but your dad will always be in style with a Datejust. Also, with a price tag as low as $2,600, a Datejust is one of the more affordable preowned Rolex watch options. Also, if you’re looking for something to compliment Dad’s new watch, we’ve also compiled a few ideas in our Fathers Day gift guide for those who enjoy the finer things in life. This 9-ounce flask from legendary designer and manufacturer Jacob Bromwell is handmade entirely from copper and given an American Birchwood stopper. True to Bromwell’s original 1819 design, this flask is as old and as American as bourbon whiskey itself. Looking for an extra touch? Jacob Bromwell offers engraving on every flask. Perfect for every occasion, what dad wouldn’t love this gift? Does your dad love adventure? Consider a helicopter excursion for dad or the whole family! For instance, many excursions offer much more than just viewing your city from above. Live in California? Explore wine country by air! In North Texas? Arrive at Texas Motor Speedway in style! Also, a quick search will prove every helicopter excursion offers a unique experience specific to your area. BeckerTime would love to help you choose your dad’s new favorite timepiece this Father’s Day. 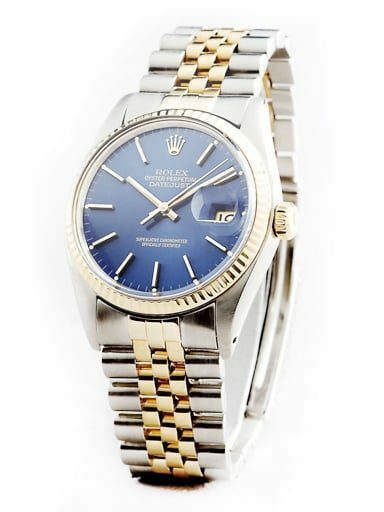 As a result, we offer a large selection of preowned Rolex timepieces, paired with our personalized customer service, to help ensure you find the perfect watch at the right price. View our selection online today at BeckerTime.com or give us a call at (817) 503-2334.